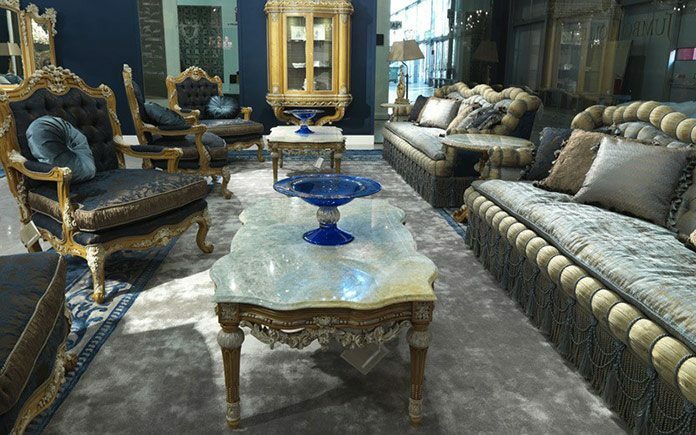 During the 2015 edition of the Salone Internazionale del Mobile di Milano, Jumbo Collection and the JC World’s Companies (JC Passion, Roberto Cavalli Home Interiors, Gianfranco Ferré Home) had the largest exhibition space ever: their reserved area was almost twice as big as last year space, reaching and exceeding the 1.000 square meters goal, a great achievement and satisfaction for the entire Company. 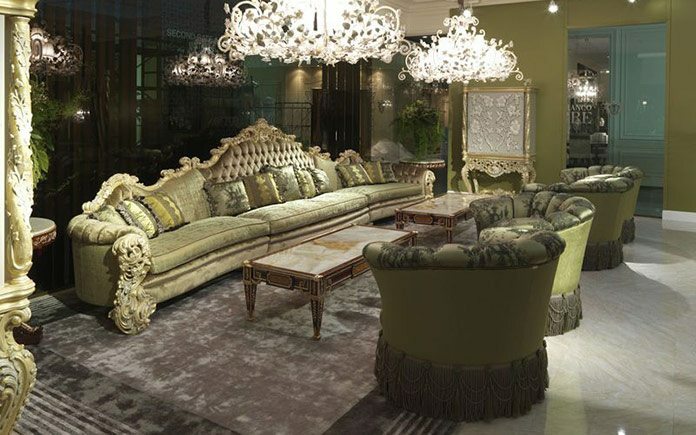 This year Jumbo Collection celebrates its 30th Anniversary and the Salone del Mobile 2015 represents a milestone in its history, marking its undisputed recognition as one of the leading companies in the classical and contemporary furniture industry. 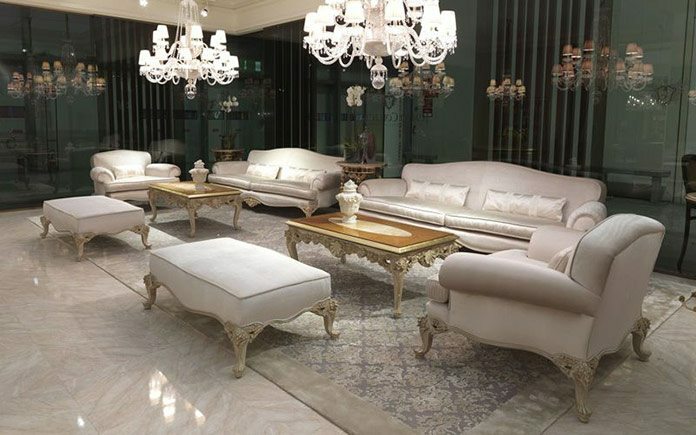 Jumbo Collection showed the future, the present and the past of its creations in a 400 square meters exhibition area. A major effort for an impressive display that certainly surprised all the visitors entering the unique atmosphere of Jumbo Collection’s universe. 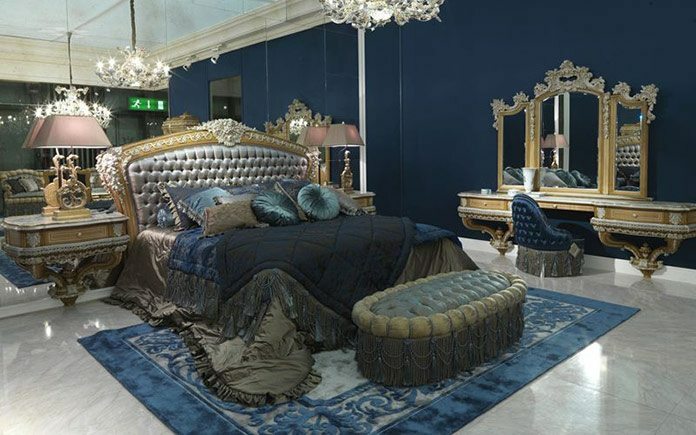 The stand was arranged into five spaces, all defined by different colors; unique and peculiar colors and designs related one to another to give birth to an historical excursus that, more than ever, allowed to showcase the vast offer of Jumbo Collection Luxury Furniture’s catalogue. 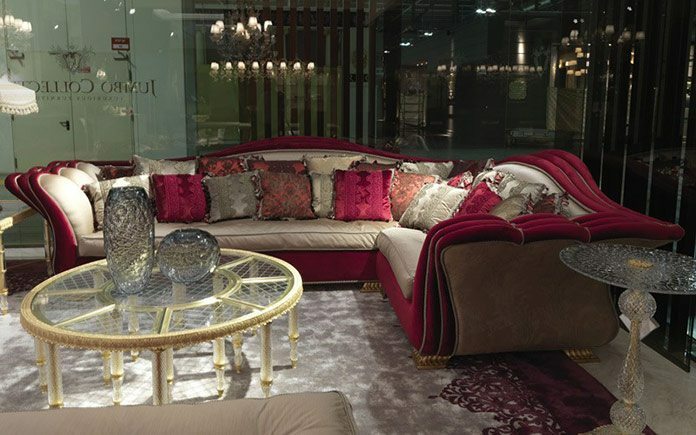 The center of Jumbo Collection’s stand was dedicated to one of the fastest growing units: Contract Division. 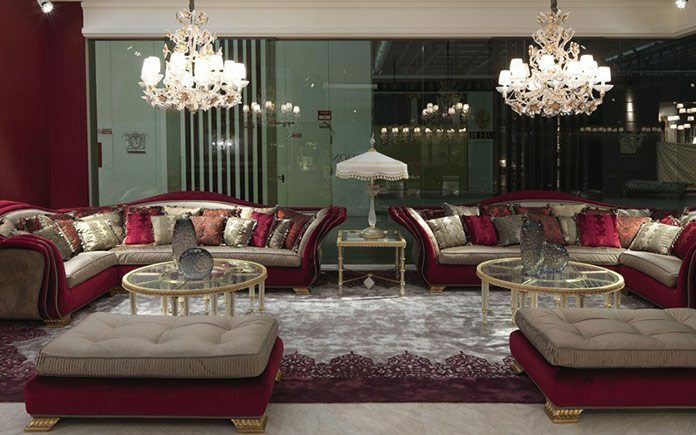 A magniloquent set-up that showed the Company’s effort to specialize and characterize in the customized furniture industry, especially the one relative to the world of hospitality. Jumbo Collection honored 30 years of products, models and designs that have grown becoming landmarks in the brand’s history and, after years of scenographic set-ups in its own exhibition areas, Jumbo Collection’s proposal has been an absolute revolution: the stand developed from the outside to the inside, becoming visible to all the guests in the classic pavilion. 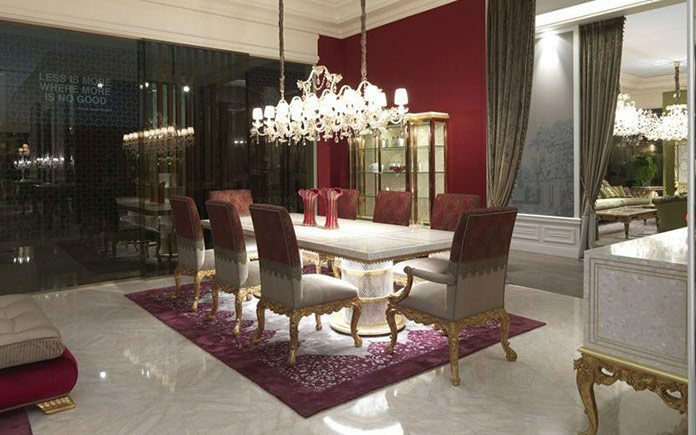 For this occasion, two new catalogues has been presented: one dedicated to the Contract Division and one dedicated to La Grande Dame, Scarlett and Villa Serbelloni Collections, which has been showed at the Milan Furniture Fair during its last editions. This step is another important investment that certifies the growth of Jumbo Collection and JC World.